Your 20s are all about finding yourself. In your 30s, it’s about raising a family and building a career. In your 40s and beyond its time to do what you always wanted to do: Venture out of your comfort zone and explore the world. Spring break, once a rite of passage for college kids, has become prime-time travel season for Baby Boomers, too. You only live once, so stop making excuses, dream big and add one of these fabulously fun destinations to your Bucket List! I’ve got a propensity for an aching back, so the idea of traditional camping at my age is just not all that appealing to me. That was, until I heard about glamping at the El Capitan Canyon resort in Santa Barbara, California. Picture luxury tents, gourmet fireside meals, and the smell of wild sage blossoming in early spring. Cedar Cabins and safari tents are nestled amid oaks and sycamores along the El Capitan Creek, with views of the Gaviota Coast, Pacific Ocean, and Santa Ynez Mountains. For dinner, order a BBQ kit that includes a green salad, soft drinks, garlic bread, and your choice of burgers and hot dogs, salmon, tri-tip, or chicken. You cook the meats over your own personal grill. Pair your feast with a Santa Barbara County wine that you can pick up at the Canyon Market. You don’t have to be a gambler to enjoy Las Vegas. Other than a self-imposed US$20 limit at the Willy Wonka slot machine, I rarely see step foot on the gambling floor of most Vegas casinos. I’m too busy enjoying out-of-this-world dining experiences at Bardot Brasserie in Aria Resort & Casino and L’Atelier de Joel Robuchon in the MGM Grand Hotel and Casino. When you go, relive the Baby Boomer glory days and see Beatles LOVE by Cirque du Soleil, Jersey Boys, or the Million Dollar Quartet. If its action that you seek, rent a motorcycle and zip along the Vegas strip. Get your adrenaline pumping and take a helicopter tour of the Grand Canyon. And, if you feel the need for speed, how about driving a Ferrari on a 30-mile round trip from Las Vegas to Red Rock Canyon. The older I get, the more I want to see the world and less I want to have to leave behind the comforts of home. Today’s cruise ships are destinations in and of themselves. They also are the perfect way to travel in comfort, enabling you to unpack only once as you sail from port to port. In Europe, a port-intensive “taster” cruise is the way to go. Holland America, with spacious mid-sized ships, sophisticated five-star dining and a plethora of on-board luxuries and activities and itineraries takes you to ports in Croatia, Greece, Turkey, Spain, and Italy, from the Black Sea to the French Riviera. The Med is gorgeous in spring, with warm days and cool evenings. Another benefit of going now: Without the crowds of summer, you’ve got lots of “elbow room” in museums and cafes. 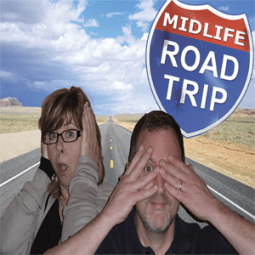 Viewfinder Tip: For more “elbow room” travel to destinations usually not associated with Spring Break. The Ranch at Rock Creek (a Relaix and Chateau property) near Philipsburg, in the heart of southwestern Montana, is 6,600 acres of open space surrounded by mountains, meadows, lakes, and streams. When you add to the spectacular scenery relaxing spa treatments, Western-style luxury accommodations, and regionally inspired cuisine, you have a Baby Boomers’ paradise. Take relaxed strolls, a yoga lesson, and trails rides (for all skill levels), or go on a helicopter adventure where you can explore Glacier or Yellowstone national parks. Early morning is the best time to capture (in photos of course) everything from big horn sheep to beaver, eagles to grouse. At night head to the Ranch’s Silver Dollar Saloon for an adult libation, bowling, billiards, or board and card games. You also can watch a movie on the 14-foot HD video screen. From Louisville you can hit the trail—the Bourbon Trail. 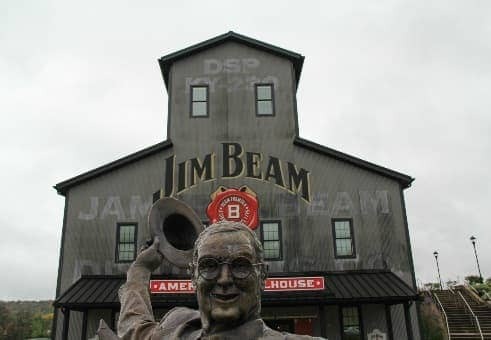 There are nine historic distilleries on the trail, including Jim Beam, the world’s No. 1 Kentucky bourbon. Distilleries are located between eight and 80 miles apart, so hire a driver and consider spending a couple of days exploring. The journey will weave through quaint country towns and beautiful landscape. And of course you’ll taste a lot of bourbon, too. What’s next on your Spring Break Bucket List?